At least you wouldn’t be able to see all the toothpaste stains in the sink???? The above bathroom was accompanied by this kitchen, where you would have to be child-sized to actually open the ancient cupboards and get anything out of them. I’ve seen wider passages on boat galleys. Also, Egads, the floor! 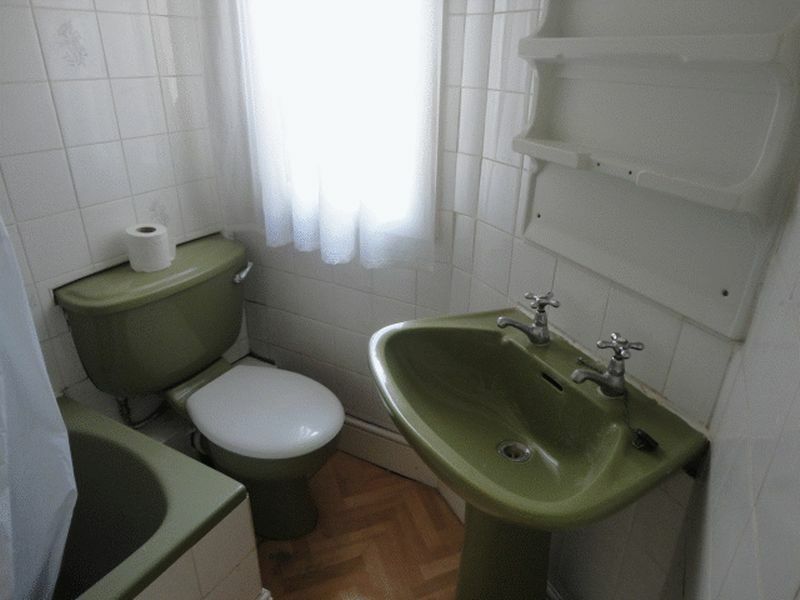 Another delicious bathroom design. 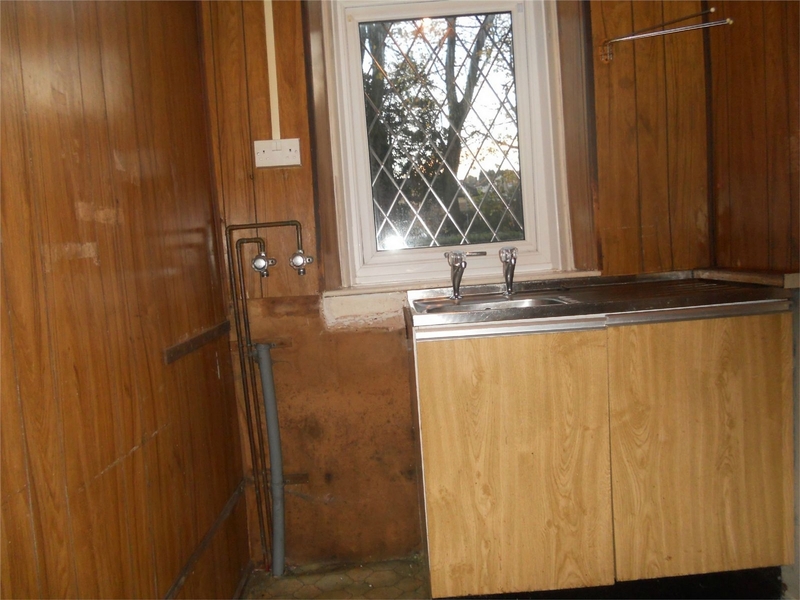 Let’s hope the new owners never need to fix the cistern. Where does that third window go? Into the land of helpimdrowningunderallthisclutter! The house also sports a psychedelic wall of killer Yoda owls, for all you fans of LSD. 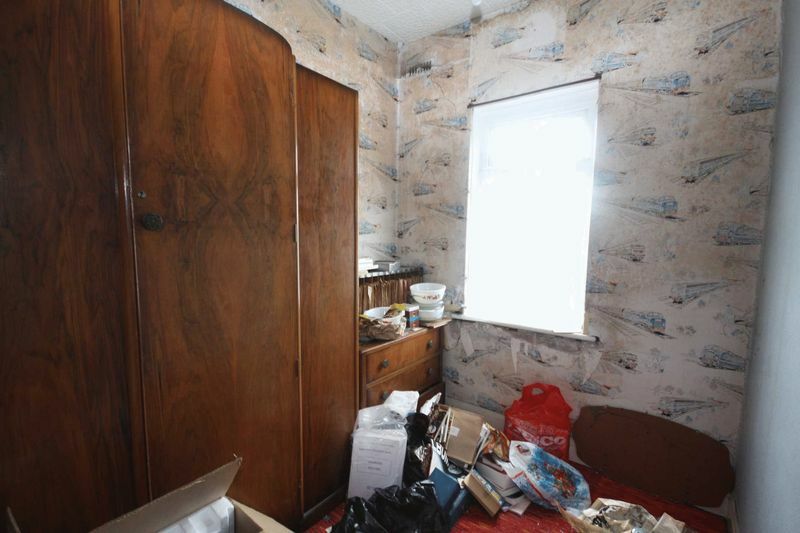 And who could forget the kid’s bedroom, where you can pre-destine him/her to have PTSD before he/she even joins up. Let’s be fair, it’s clearly a boy’s room. Clearly the second child was NOT being pushed into being a soldier. I sincerely hope they wanted him to DRIVE the train. And yes, again, clearly a him. 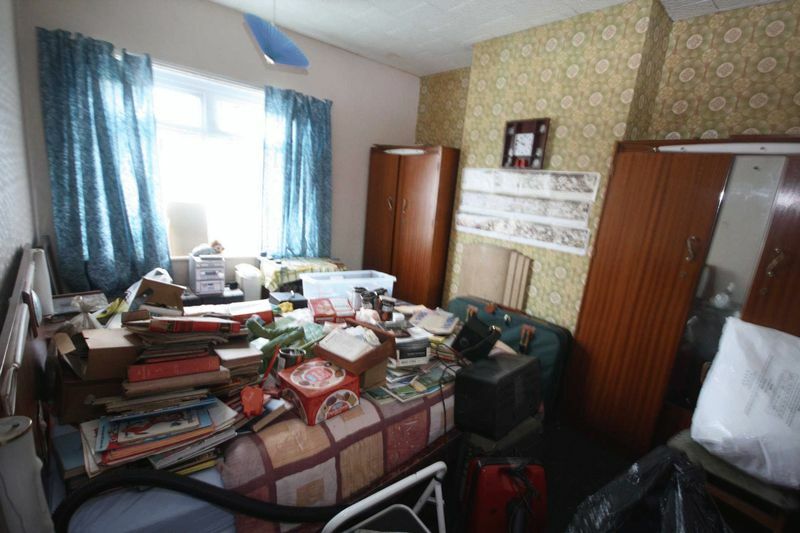 This place could feature on some TV series about hoarders. 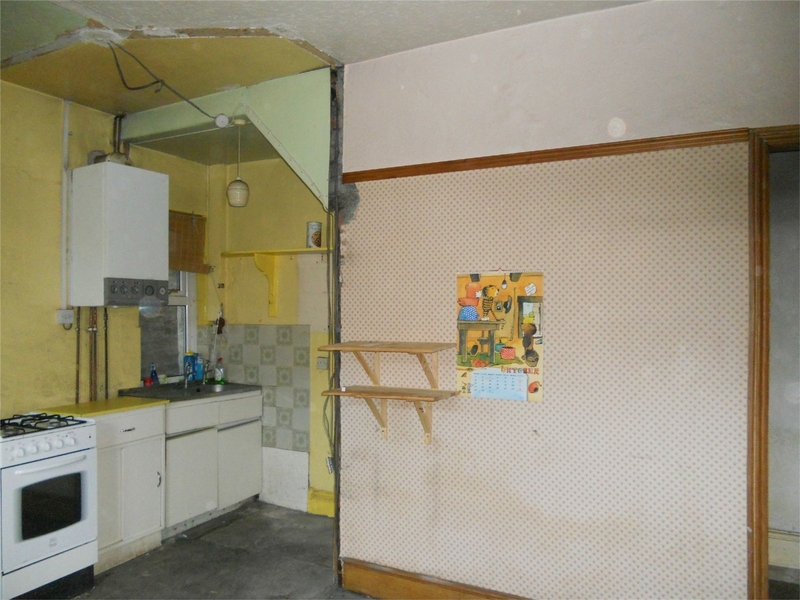 This is a feature kitchen. 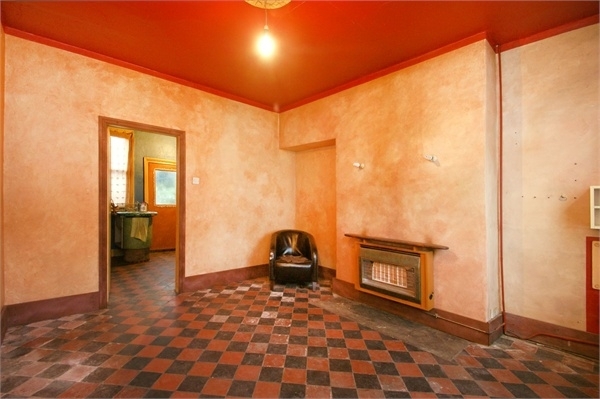 Like a feature wall, only under the stairs. And probably wants covering up. Or razing to the ground. 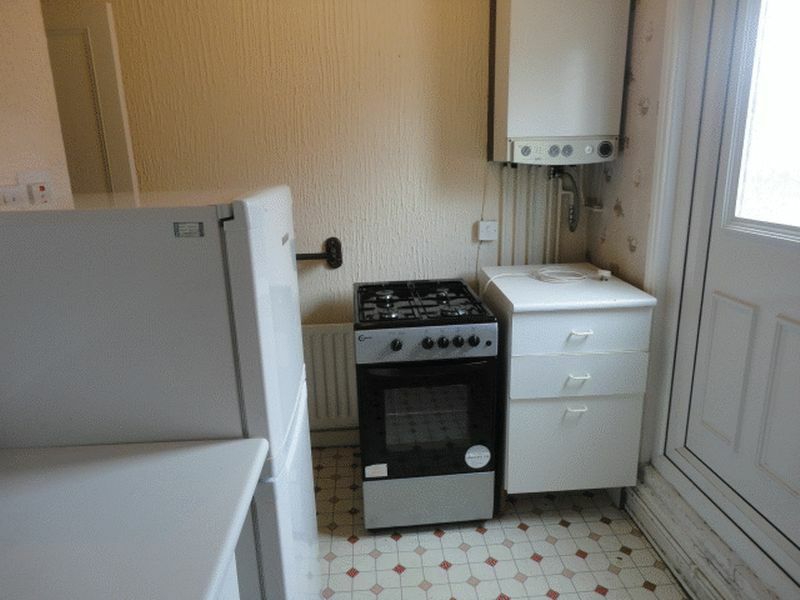 This kitchen is so embarrassed it’s trying to blend in with the walls. 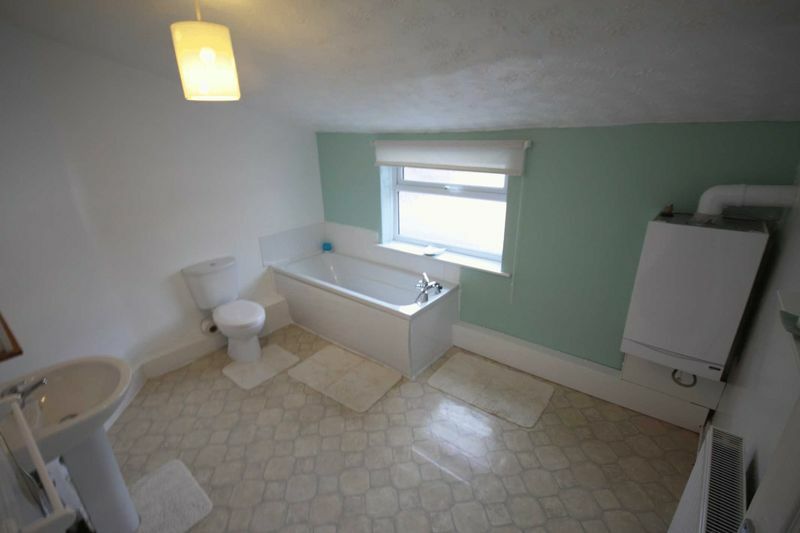 Perhaps one of MC Escher’s lesser known works, this bizarre split level bathroom makes no sense – you’d have to be six foot to comfortably use that sink, or three feet to enjoy the toilet. Yodelling? Bowling alley? 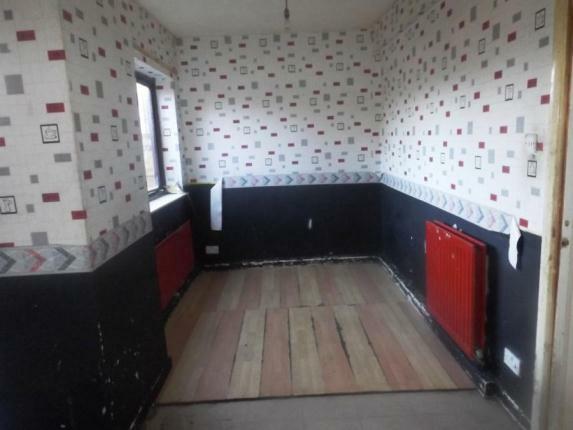 Room for a sneaky snooker table? The real question is, what’s the point of that second bath mat?? You can’t get out of the bath there. There’s taps in the way. And a window. 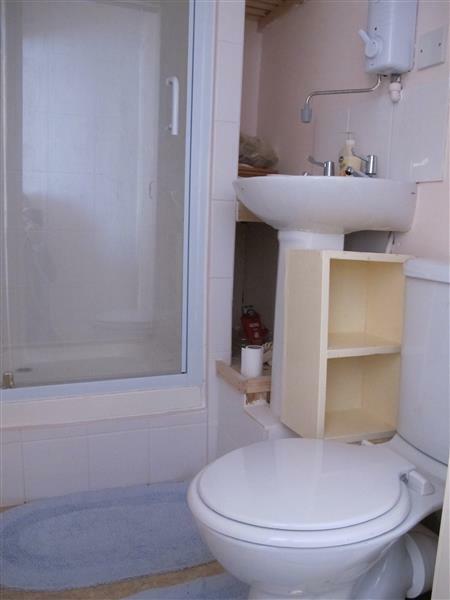 And why are the toilet and bath so close together when there’s all this space? So many questions! 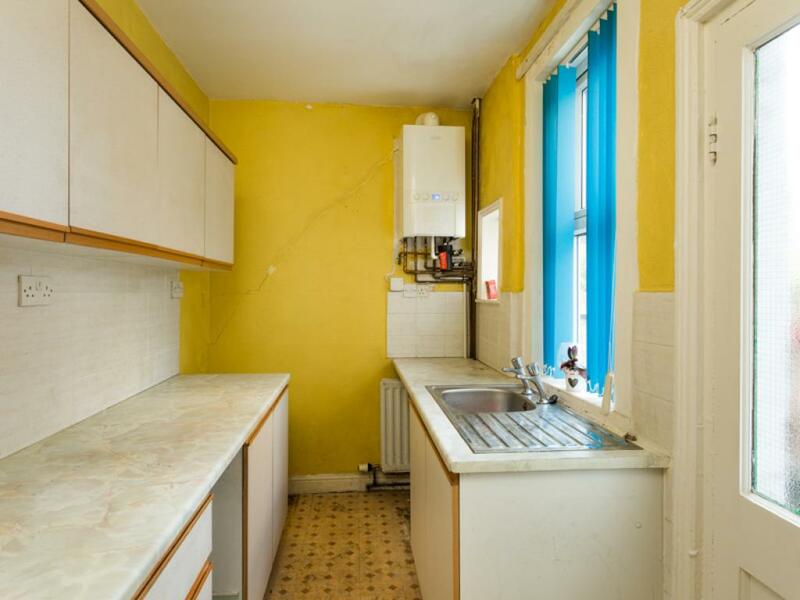 This kitchen couldn’t decide whether to be 60s retro (to the left) or 70s retro (to the right). 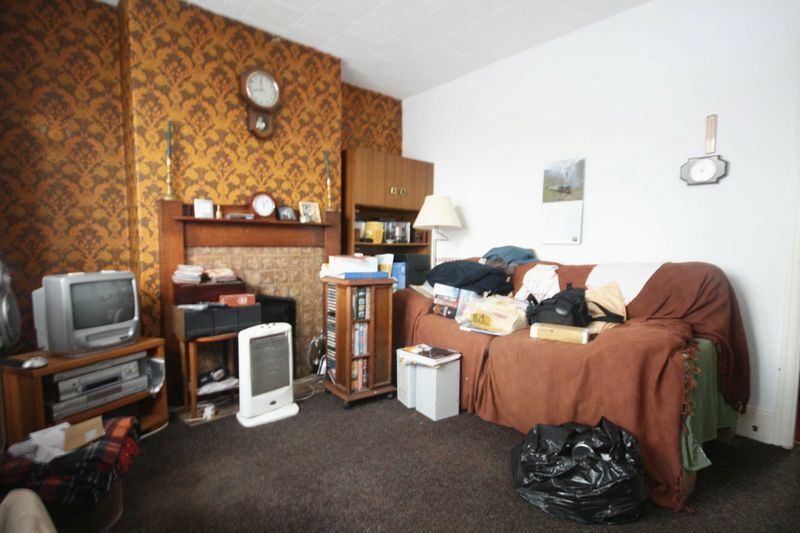 Add to that a third possibility: White goods (at the back). 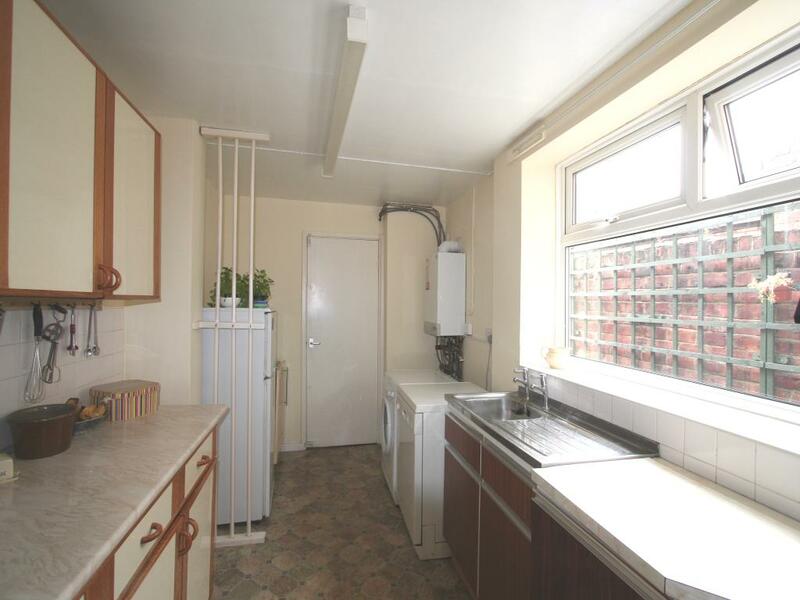 Are the bars there to prevent the cupboards from running away in shame, or because the owner was a *huge* fan of Prisoner: Cell Block H and wanted the ambience??? I hope the arrows are pointing to the way out. 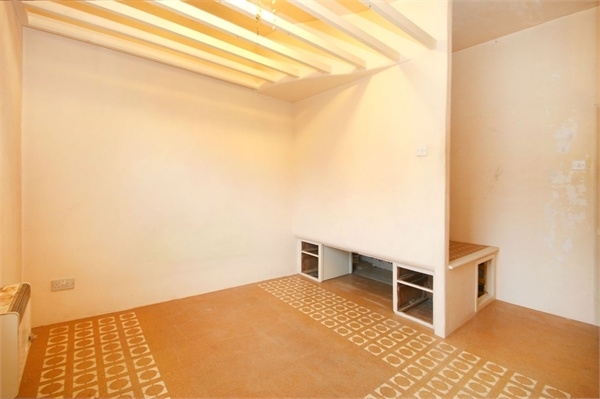 After all, who doesn’t want a bedroom with three walls and two radiators and one seamless floor? Usually a wall like that separates a staircase. And the ceiling thing looks a bit high to be a bed nook. Mysterious. 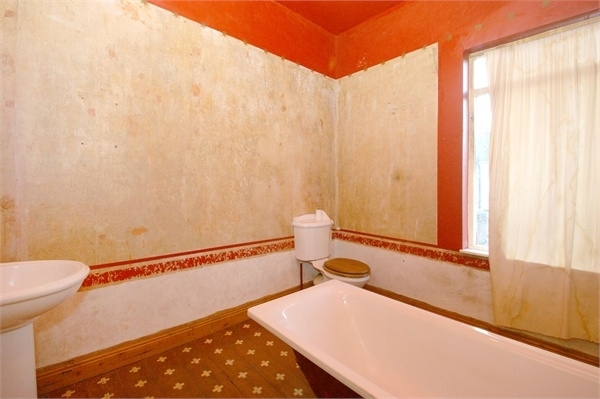 The bath looks like a beached whale. 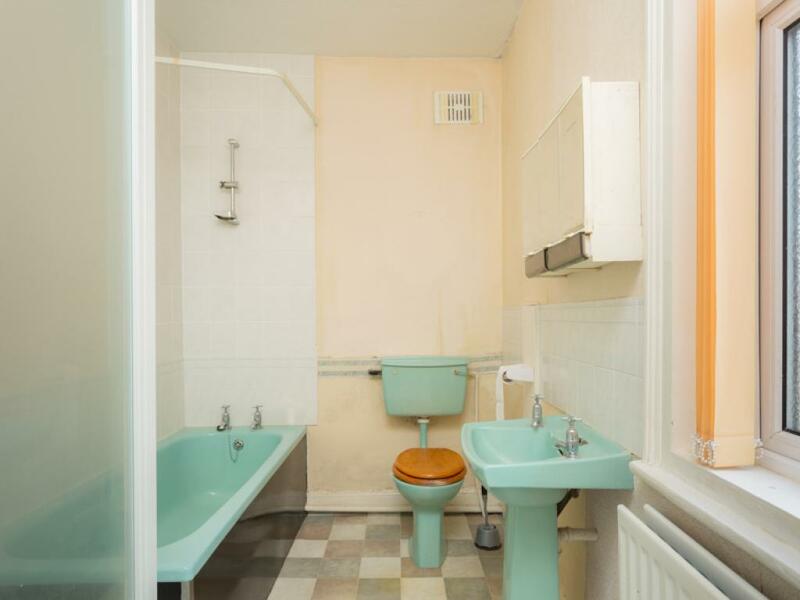 And why is the loo jammed in a corner when there’s acres of space? 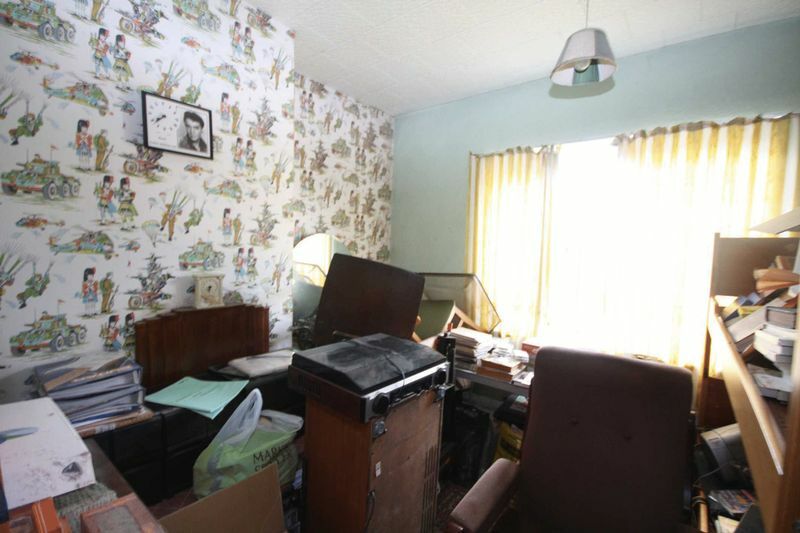 This room is looking vaguely normal, but very dirty and with the far right wall full of holes. 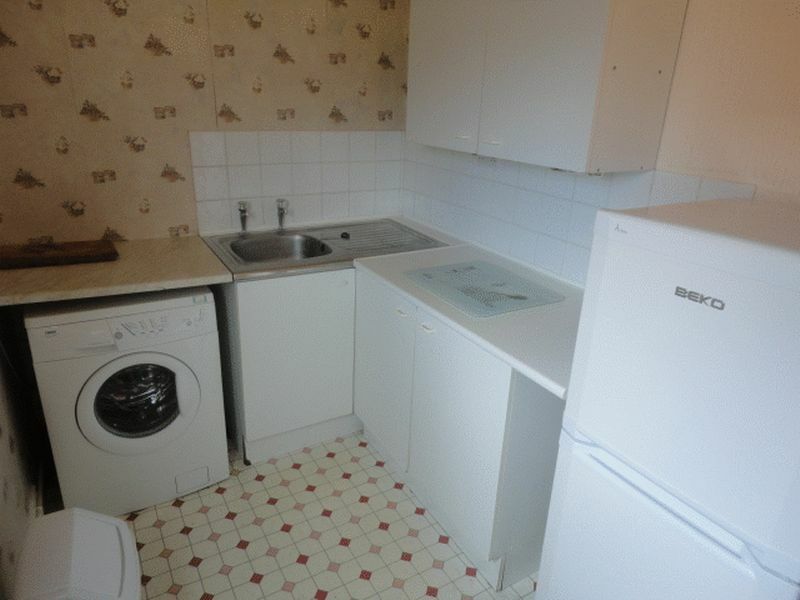 The sink is in the middle of the room, next to the back door. 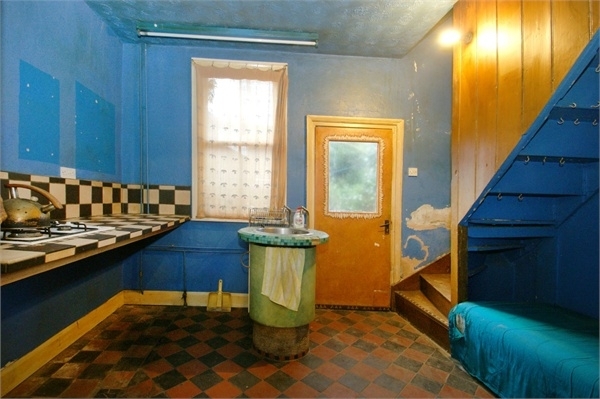 The stairs are bizzarre, and if there were ever a house fire, the occupants would not be able to get out. Also the walls are filthy. And that bed does not look like a nice place to sleep. 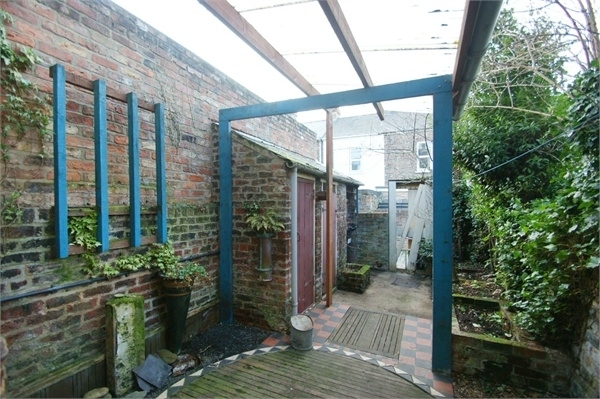 You have to admire the optimism of the estate agent – this beaut was listed at around £80,000 in the north of England. 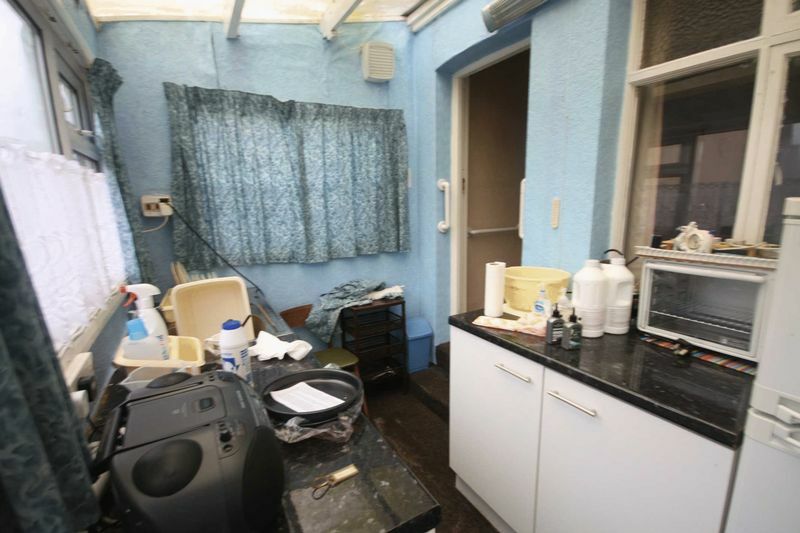 Doesn’t your house feel clean and well-planned now? All those little foibles looking a bit tame? I know mine does! Let me know in the comments if you’re tempted to put an offer on any of these delightful habitats. Note: I own none of these pictures.